November 16, 2013: Rumours from Bihar that salt was unavailable has severely hit all the Northeastern states which resulted in prices skyrocketing and panic buying. The news following purported closure of salt-producing factories in Gujarat has caused panic among the people, even leading to clashes between customers and traders at various places and arrest of over a dozen black marketers. Meanwhile in Mizoram, the state government on Thursday warned businessmen against hoarding ‘salt’, which was rumoured to be sold for as high as Rs 300 a kilo against around Rs 10 per kg normal price in some areas of the state, while some shops in Aizawl sold more than 100 quintals of salt in just three hours, reports said. 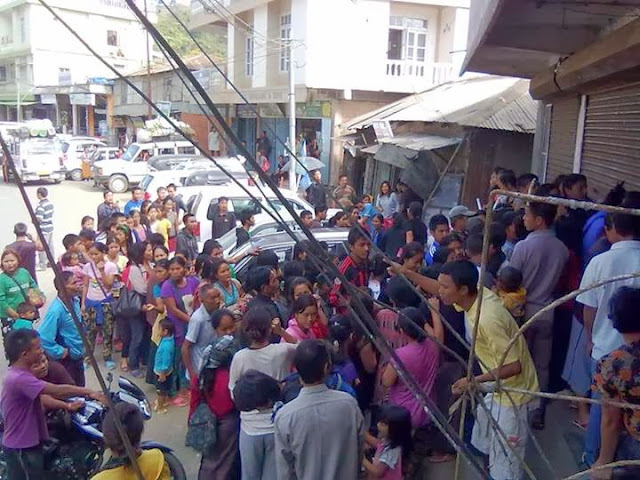 The Dimapur Superintendent of Police is reported to have issued orders to identify and arrest such unscrupulous traders indulging in profiteering and black marketing and rumour mongers. Majority of the wholesalers operating in the Northeast region hailed from other states of the country, including West Bengal, Bihar, Uttar Pradesh and Gujarat.